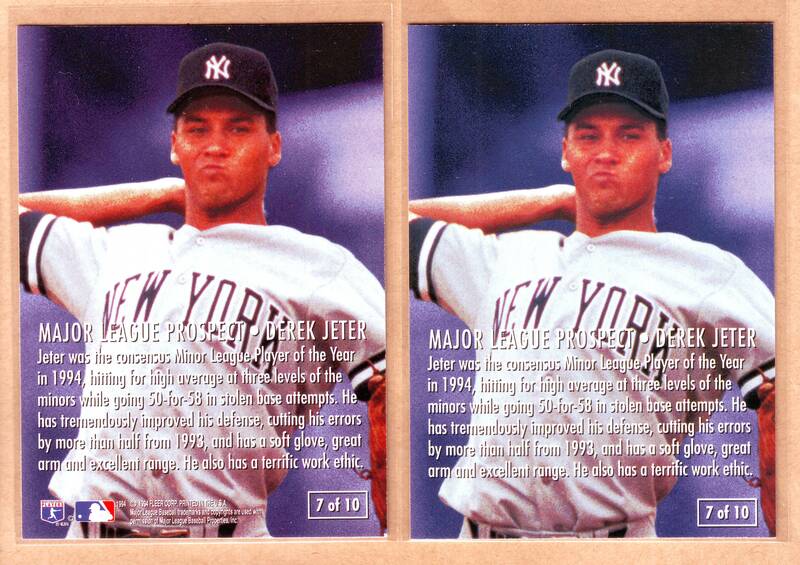 New 1991 Upper Deck hologram variation discovered! That’s 5 different types now! Ughh. Those scans are awful, but the best I can get for the time being. 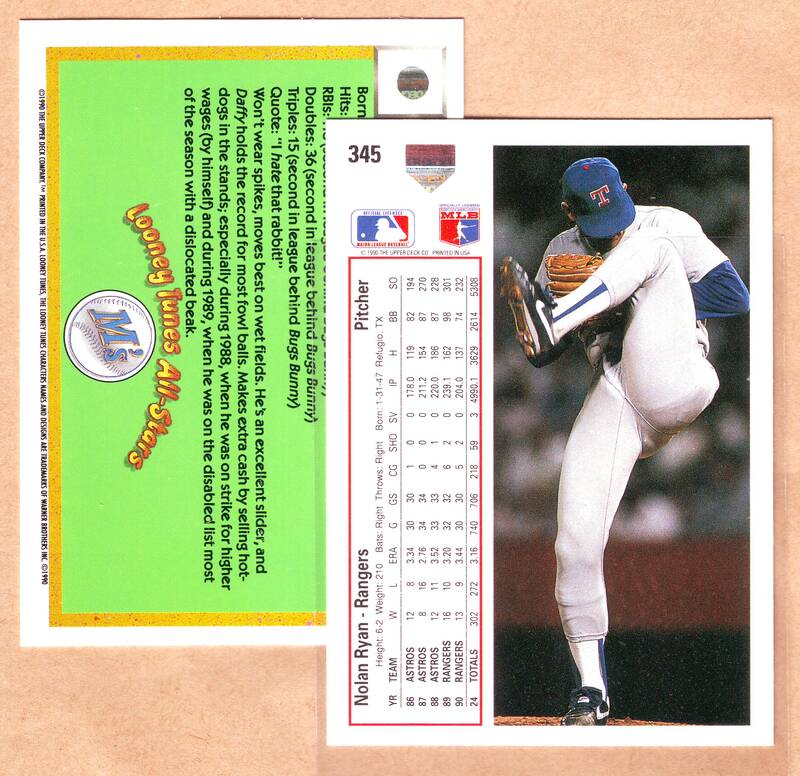 The actual pattern is what appears to be a series of trophies, the words “upper deck” and “90.” And the Comic Ball set is the only UD issue that I could find matching this. Pretty fitting that I find this variety on a Nolan Ryan card when he would eventually become a spokesman for the Comic Ball line in 1991. -1990 MLB type: This hologram is the exact same one used on UD’s 1990 cards. A pattern of baseballs shows up when held under the light. 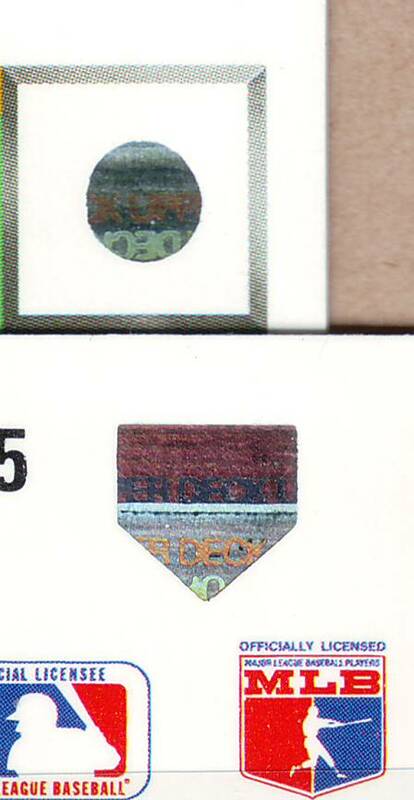 -1990-91 NHL type: This hologram has a crossed hockey sticks and ’90-91′ pattern if held under the light. -1991 MLB, NHL, NBA, NFL type: This hologram is the most common, and shows a pattern of ‘1991 Upper Deck’ when held under a light source. -1992 MLB type: This hologram depicts a pattern of UD’s diamond-logo and is commonly found on most 1992 issued card sets. Funny that these were being found on 1991 cards!